Grappling and submissionsJiu-Jitsu is extremely effective when it comes to fighting. Among it’s many positive attributes for people who put time on the mat, it teaches participants to engage and neutralize larger and stronger opponents. Our members learn critical self-defense techniques. We are dedicated to daily training to find precision, speed and safety under stress. In addition to standup fighting, grip fighting, throwing and sports grappling, we train no-gi when weapons, legal concerns, and multiple assailants can occur. Members who are interested in Brazilian Jiu-Jitsu (BJJ) competitions will find amazing coaches and training partners at ACE Jiu-Jitsu, where Tim teaches in California. Tim Cartmell is an Asian Full-Contact fighting champion, a Submission Grappling champion, a two time Pan American Brazilian Jiu Jitsu champion at the brown and black belt level and seven time winner of the Copa Pacifica de Jiu Jitsu. Tim received his black belt in Brazilian Jiu Jitsu from Cleber Luciano in 2003. $100 for access to all Jiu-Jitsu classes. There is an additional $50 annual membership fee. Learn more on our about page. Helio is know as one of the founders of Gracie jiu-jitsu, also for having some incredible matches with opponents much larger than him. 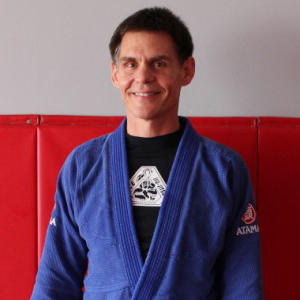 Helio’s relentless contribution to the perfection of jiu-jitsu techniques, his philosophy on life and his unique teaching methodology have been an example for his children and his students worldwide. These are the pillars on which the Gracie Jiu-Jitsu Academy was built. Royler Gracie was born in Rio de Janeiro, Brazil. He is the fifth son of Grandmaster Helio Gracie. He started Jiu-Jitsu at the age of three. As soon as he was old enough to compete, the young Royler started his illustrious competition career. 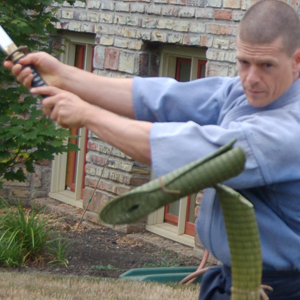 He has been competing as a black belt for more than twenty years and has had more than three hundred matches. He has won world championships, national and regional titles. He was the most active sport jiu-jitsu competitor during that period, always ready to test himself against people of all sizes. Cleber Luciano started training in Judo at age 5 and started Brazilian Jiu-Jitsu at age 7. He received his Black Belt in Jiu-Jitsu under Professor Royler Gracie at the age of 19. He holds a Black Belt in Judo as well. Every class at Cleber Jiu-Jitsu is taught by Cleber himself. Cleber takes pride in his competition team and really cares about the progress of each individual student.